A Café Royal Books publication. The Drift was published in August 2016, is 14cm x 20cm and has 24 black and white pages. It is an edition of 150. 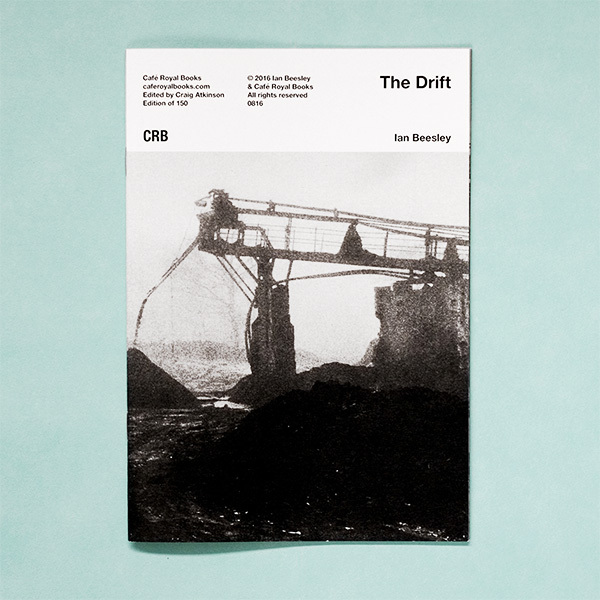 IAN BEESLEY The Drift is a Café Royal Books publication. 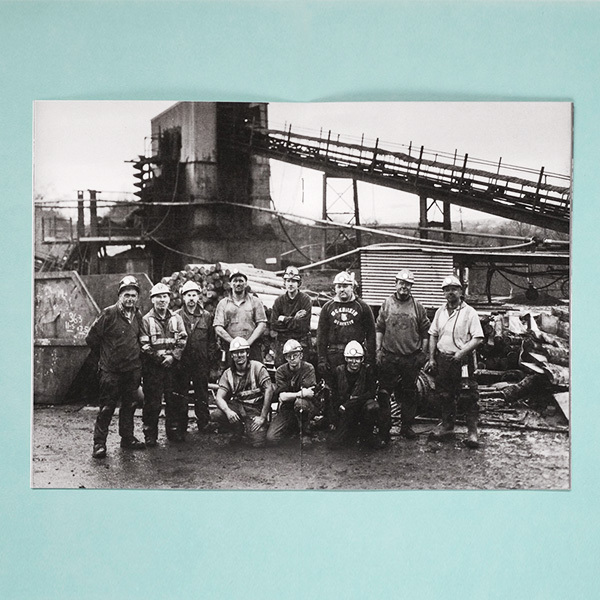 Originally commissioned by the NCME an interpretation of the lives of Hayroyd’s colliery miners. Taking nearly 5 years to complete, these photos explore the hidden underground world of coal mining, the physicality, the comradeship and the dangers of mining. Find out more about Ian Beesley and his work on ianbeesley.com. The Drift was published in August 2016, is 14cm x 20cm and has 24 black and white pages. It is an edition of 150. Café Royal Books is an independent publishing house set up by Craig Atkinson in 2005. He is based in Southport, England. CRB release regular publications with the broad subject of British Documentary Photography since 1960. This includes international photographers who work within the British Isles. Alongside photographers from the British Isles who work internationally. There are a few exceptions, with titles that sit alongside this general theme. This type of work has historically been neglected by both photographers and institutions. Café Royal Books aim is to source, gather, and re/present this work as a collective whole. And, thus, give it a wider audience. CRB publish at least one title every week, presenting, generally, one series by one photographer. 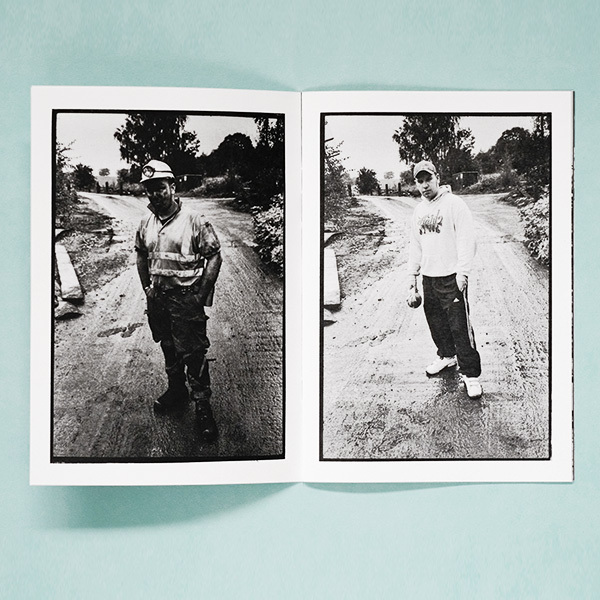 The books combine elements of zines, photobooks, artist books and educational resource. The books are affordable, democratic, utilitarian and useful. They come out regularly and in small editions. So, great to collect. Have a look at the selection of Café Royal Books we have in stock.